Welcome to discovering your Inner Now! Zen Mindfulness Ninja Meditation is a practice of stillness within the being that is you to enable an awakening of self behind the self. The world is full of distraction keeping us caught in the addiction of duality. Political, social, technical are all forms of polarisation away from the stillness and presence of the Now! Together we can explore a range of different exercises that give our minds food for activity while we pay attention to the stillness of the moment. Inside the stillness, the focused ninja will notice something beyond mindfulness, hence Zen Mindfulness, is mindfulness without the mind! Meditation is about being still in an unstill world. It’s an allowing of your inner BEing to gently unfold, expanding to fill your awareness with something divinely pure and exquisitely simple. Behind all the effort of the activity is the foundation of awareness. It’s in this awareness you can find a space to grow in wisdom and self-acceptance. You have an inner power that simply needs cultivating, nurturing and loving. It’s the simplest moment of truth and it’s all yours. Beneath all the chaos of the World there is a joining of direction, a unity of opinion, a resting of decision. Here within yourself, where there is simply observation, you can grow and unfold into a more complete Being. It is this unfolding that allows you to grow beyond the boundaries placed upon you daily. The benefits to your meditation practice are endless. Your focus and attention span will dramatically increase. Your memory and cognitive abilities will improve. Your general feeling of balance and satisfaction with your work and person life will become stronger and more solid. There are many forms of meditation and for many different purposes. Some simply want to improve their skills and abilities, others like to remain still to gain a better clarity over true aspects of their own consciousness. For those interested in learning how to meditate Mark offers classes across the globe. 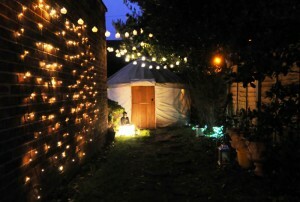 He also gives private tuition for those interested in more one to one attention. Alternatively he can come out to your group at your place of work and teach there. Please get in touch to discuss how this would work and what level of workshop / class you would like. Group class space is an excellent way to build up your practice and gives you an opportunity to see how the meditative space helps others unfold their fears and empower themselves. 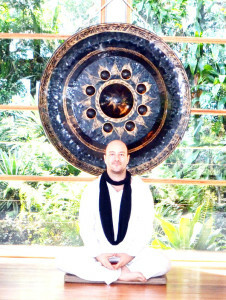 Mark also supports those advanced meditators who are interested in discovering things beyond mind and even into enlightenment. The meditation style is stillness based and has no religious element. Each week we’ll explore a different topic. Currently there are 14 different theme classes which run weekly. Each week you’ll be lead to focus upon different things including Chakras, Heart, Anger, Pain, Breathe, Light, Mantras, Crystals, Mandalas, Mudras and Yin Yang balance. This exploration will hone your ability to focus upon the stillness that lies behind your personality. The part of you that is free from stress, worries and concerns. The more you connect with this inner part of you the more you will be able to use it in everyday life. Meditation is not about logging out, it’s about logging in! Buddha Bugs – Is a new name given to the exploration of meditation for kids. There is no religious connotations or suggestions. Buddha was chosen as an example because all he did was to meditate, he never wanted to be worshiped or have any religious following. He talked about discovering for yourself, which is what we want our little ‘Bugs’ to do! Helping children to meditate, find their inner peace and relax is a vital foundation for a happy and balanced life. Meditation will also advance your child’s intelligence (IQ -Intelligence Quotient) as well as their emotional intelligence (EQ – Emotional Quotient). Children are our wonder, our reflection of a worry free happy time when nothing mattered more then playing in our own imagination. In this ever increasing hectic world full of a complex array of mixed messages from schools, other cultures, TV, internet, children are now being exposed to more confusing information than ever before. It is not always as simple as it is in their heads and so sometimes they react expelling excess energy both mentally and physically. There has been a vast amount of research showing that consistent time spent being still or meditating can help develop brain function and emotional intelligence (a measure of ability to recognise and interpret your own and others emotions). There are many concepts in meditation and even more in the essence of guided meditation. Many people feel more comfortable when they are led through a series of imaginary scenarios or tasks. These often serve to engage the mind in activity which makes it feel less stressed about losing control over itself. Meditation is about surrendering. The notion of Zen is about surrendering to the inevitable fact that there is nothing we need to do on our journey backwards into our inner selves. Where stress, worry, anxiety and concerns simply melt into the nothingness of the everything. Mark leads meditations through a gentle guidance that can be taken or left. It is designed to subtly glide into your conscious and subconscious mind so if you need it, you can use it and if not you can surrender into the zen of creation, of yourself. 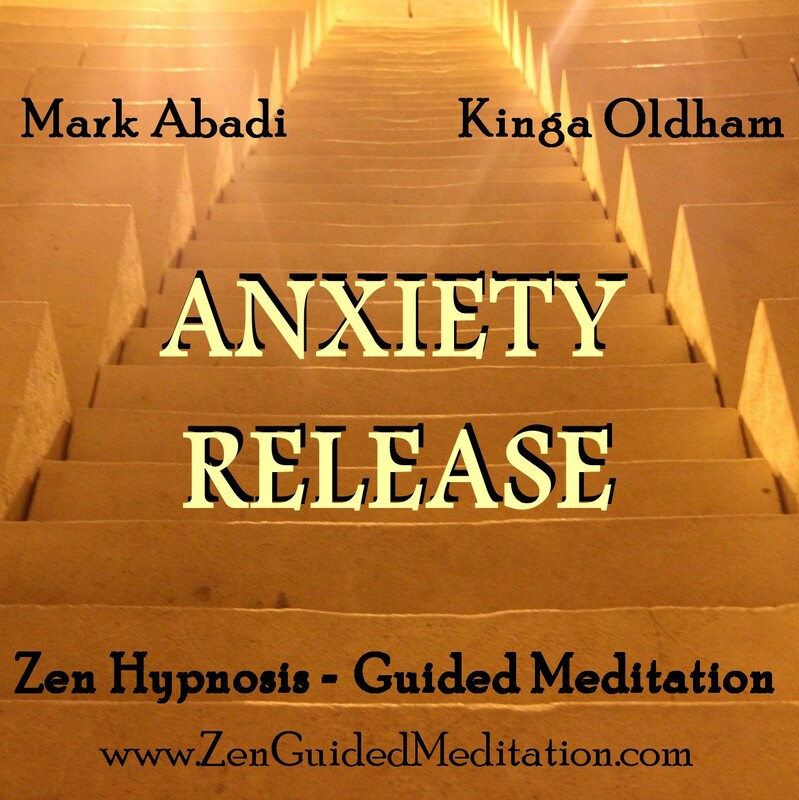 Recently Mark teamed up with the fantastic Hypnotherapist Kinga Oldham (UK). 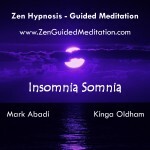 Together they created a series of Zen Hypnosis Guided Meditations. Hypnosis itself is a gentle story-telling mechanism that leads the conscious and subconscious mind into a gentle state of peace. The instruction makes use of NLP (Neuro Linguistic Programming) as well as relaxation techniques and biofeedback to create the most relaxing and self empowering reality for the listener. 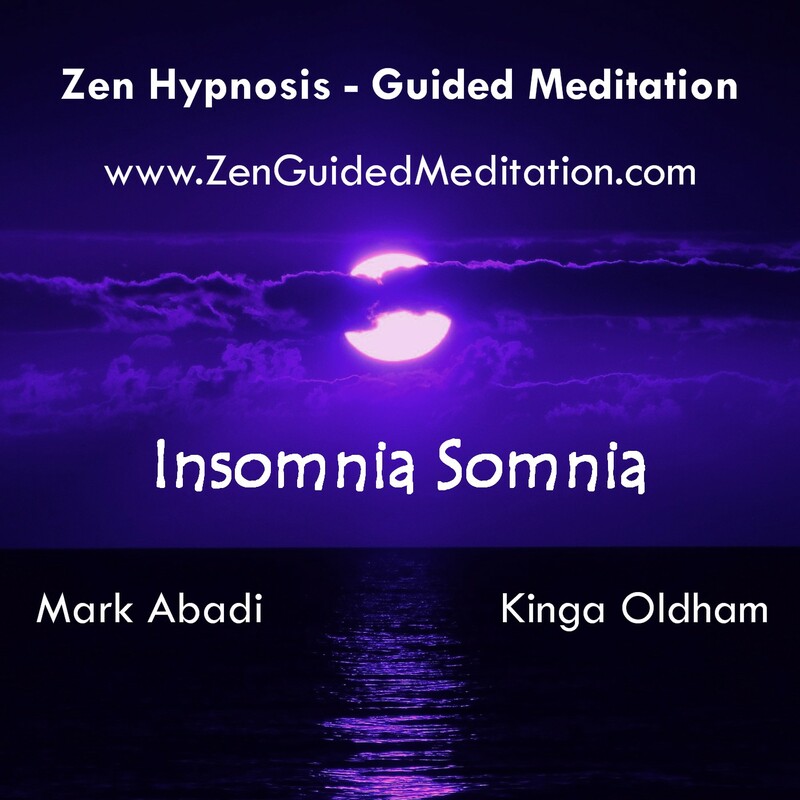 The second in the Zen Hypnosis Guided Meditation series is the 5 1/2hr Insomnia Somnia album – complete with a 4 1/2 hr long sleep track. This album is designed to allow you to surrender into a perfect sleep, an anxiety free, worry free slumber for the soul. This album is priced at £7.99 and can be downloaded from any of the links or by clicking the picture. I can’t meditate, I can’t turn off my mind! That’s fine. You don’t need to turn off your mind. In fact your mind and your brain have a job to do and that is to think. Why would you want to stop them? You can’t. Meditation is not about stopping your mind from thinking, it’s about changing where your attention is placed. It’s like sitting on the coach watching TV and then gradually you start to notice the beautiful sunset and exquisite colours outside. You choose to allow your attention to drift away from the noise box out into the beauty of nature. In the background the TV might still be whirling away, but you have chosen to allow a greater beauty, a more magnificent happening into your consciousness. You have become the watcher. Meditation is just a waste of time! I always fall asleep in meditation! Join the club! We all fell asleep when we started meditation. It’s fine and it’s something that you practise at remaining conscious. There are certain techniques that aim remaining awake. Firstly you should have a straight back and you should be sitting up not lying down. It is to do with the spin of the planet and the energy system of the body. Secondly if you keep your physical eyes gently gazing upwards then this will enable your attention to remain upwards rather than down into the body. I’ve tried meditation before and it didn’t fix anything! Meditation is not designed to ‘fix’ anything. It’s designed to give you the space to be able to come to terms with who you are and accept yourself. Yes it might increase your abilities but the story will remain. Your life will only change when you gain self acceptance and decide that you are ready to evolve. I have a religion and it says meditation is the devil’s work! Oh dear. If it helps you could call it prayer. Have you ever asked yourself why organised religions don’t want you to explore your own inner World? Could it be that they might loose some power over you if you realise that there is nothing to fear. Any organisation, relationship or person who controls people through fear is confused. There is no fear in the divine, by any name. There is only acceptance and any religion that doesn’t think ‘God’ or their ‘Gods’ are all accepting is guilty of anthropomorphising (giving Human qualities to something not Human) the divine. There is no conflict with any of your belief systems. Meditation is simply finding out for yourself what is inside of you. 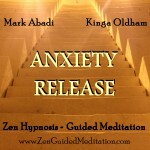 Thank you Mark, just bought the anxiety release download, looking forward to the anger management soon. I believe that all things happen for a reason and I am truly thankful that I was led to your site.